The race was a success! It was FREEZING cold but it was a lot of fun. 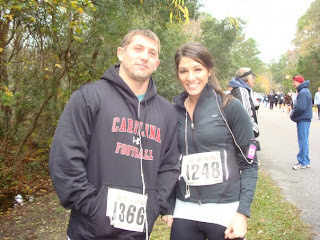 I ran it with my sister's boyfriend, Luke. My time was 31:42.
me and luke minutes before the race started! me FREEZING before the race.